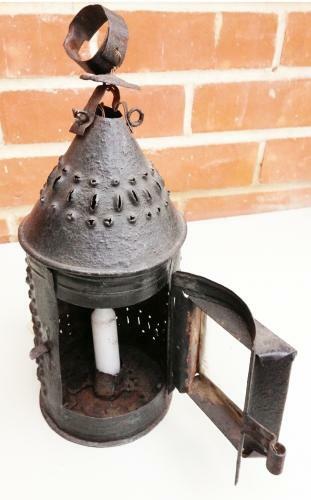 19th Cent Tin Candle Lantern in good condition. Good early lantern with punchwork decoration. This is a post lantern as it has a socket at the back under the handle where it could fit onto a post or pole. Sometimes these lanterns were put on a stick which was pushed into the sheep hurdles when lambing.